Am I understanding the formula correctly by saying that the end result is based on the the species traveling to visit another signal via technology, and by being multiplied by .1 it implies there are roughly 10 advanced civilizations in our neck of the woods (some 80 light years)? Yes, assuming the values for Fl and Fi are correct, but it's likely they are much smaller, especially Fi. Great post! I love your point about efficiency and repurposing waste heat. Very thought provoking (which is good and bad, as I am straddling two deadlines and trying to avoid them!). The answer to the Fermi paradox may well be that we just can't recognize the tech around us. There might be ridiculously efficient matrioshka brain's nearby that disperse their outer layer's waste heat so well that they would appear as brown dwarfs in infrared, if they "appear" at all. Honestly, I suspect our technology for detecting evidence of technology at a greater distance that 10 ly is probably not very good (as good as it is). I think we might have a hard time detecting our own tech and signals from Alpha Centauri with our own gear, but that's just supposition. Or maybe we are literally the first? Not that we don't have elves, dwarves and grays from our own neighborhood, of course -- there is definitely "something" going on (at least pyschologically/spiritually) in local spacetime. I tend to err on the side of the great filter being ahead of us still, but I am open to ideas that might lead to new ways of detecting invisible civilizations at a distance. 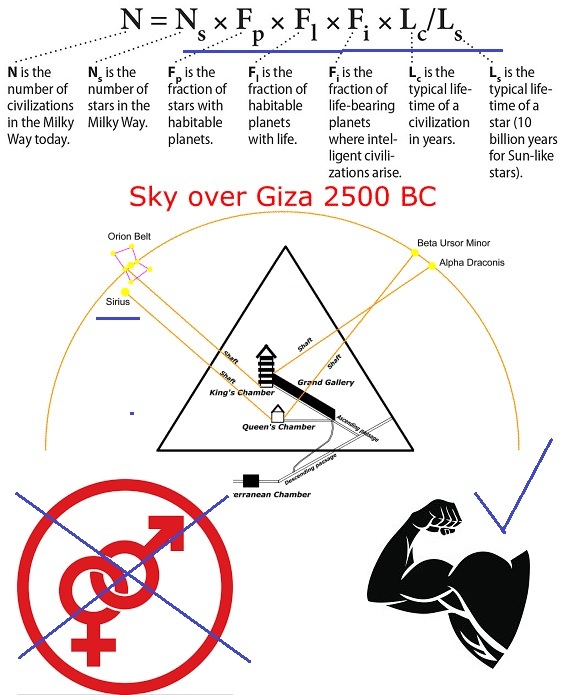 I would agree that there is little to no evidence of recognizable technology to find (so far) out there, but if the Drake equation tells us they should be out there, maybe the solution to the Fermi Paradox is that we are unable to understand what we are looking at..
Fermi Paradox = Flight 370, year 2014 + 42 Months = 2017 Double Solar Eclipse Cross of USA for 7 Years of Revelation. (Mayan Cosmic Cross, Cross of Hendaye). Promoting suicide and uncleanness, that is the theme for the holocaust and ethnic cleansing, that is also the benefit of the ufo abductees and the other forms of truth that are isolated from reproof, in exposing what will become necessary (although, to be foolish was a trend that is valid, and regardless of your choices to choose pain, God allows that without rebuke, at least for now) ................ the desire to live of the global community for the nations that can identify with God's discernment, in rewarding the elimination of "dead work and dead flesh", makes the usa's ethnic diversity unimportant as well as your lives, but this will have to be settled for a set season. 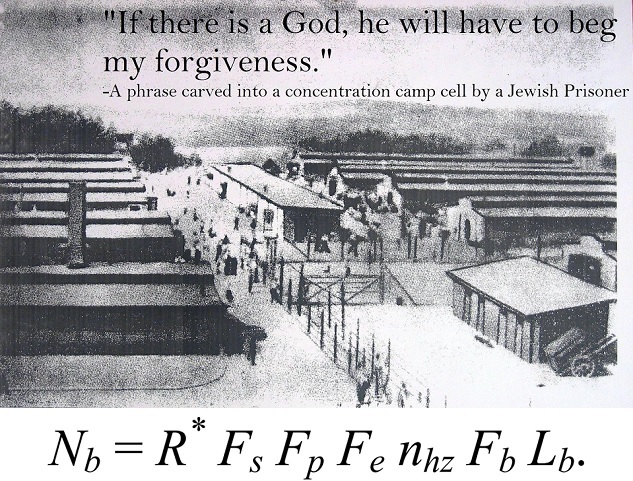 E=MC2 = Moses, and the Jewish Holocaust that follows that, by an action from God, in revealing truth, so we'll have to see what is necessary. 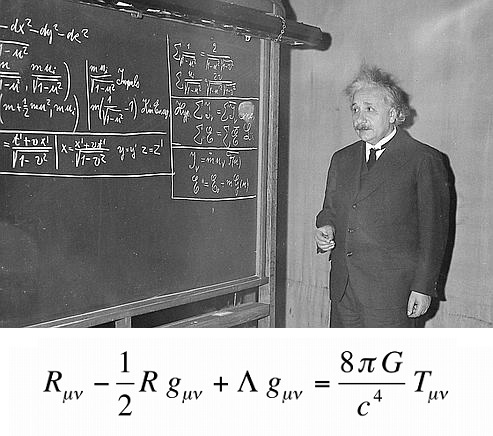 Einstein's Field Equation below his picture, seems to mirror the Drake Equation, if the Drake Equation is Real, then the Field Equation is Fake, or his fake version of it, once again point to Jewish Holocaust, or the necessity of Jewish Holocaust.